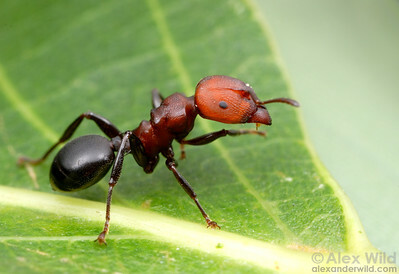 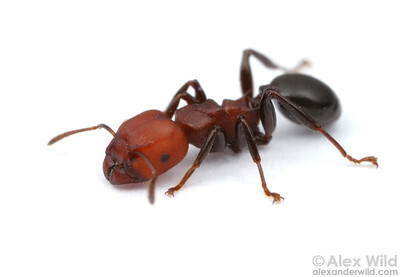 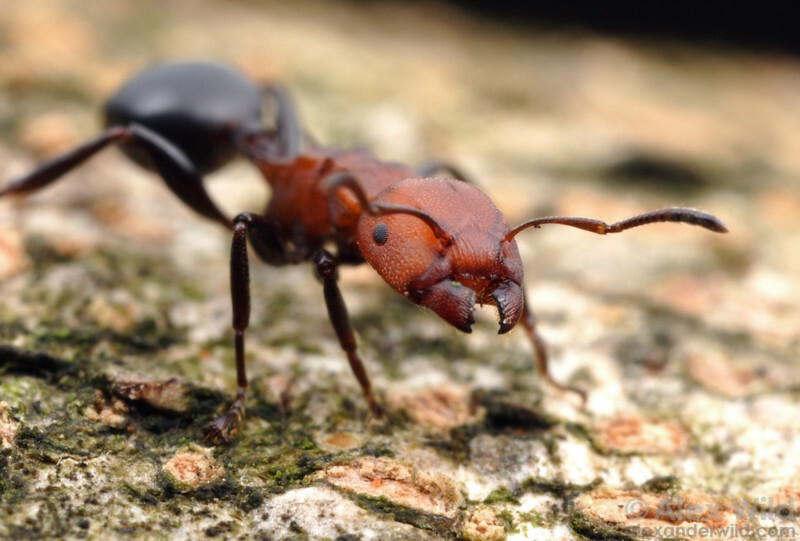 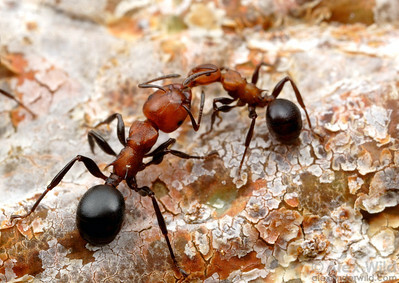 is a myrmicine genus found throughout forested habitats in Africa. 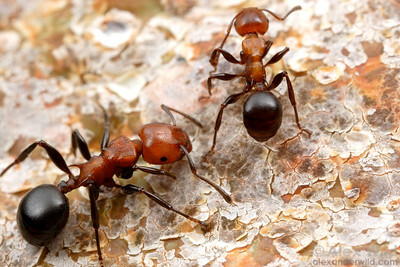 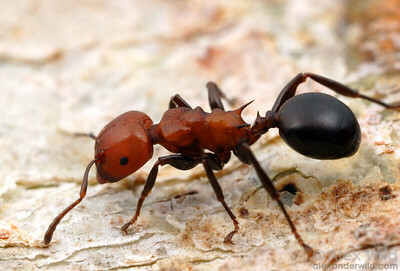 The three species in the group are big, attractive ants that nest in the dead wood of mature trees. 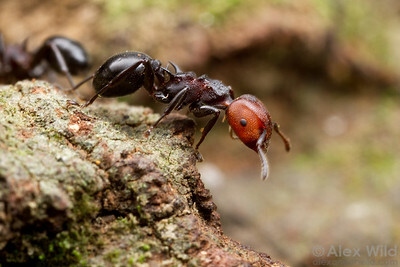 Foraging worker along a tree branch.